In honor of national Doctor's Day on March 30, help us thank our dedicated physicians for their unwavering commitment to our patients and community. 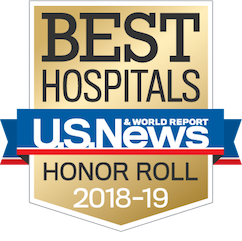 Every day, our physicians go above and beyond to provide the best possible care to our patients and their contributions are a vital part of our mission to deliver leading-edge patient care, research and education. Celebrate and thank your UCLA doctor by sharing your story. What makes your doctor awesome? How has your doctor changed your life? What words of thanks would you say to your doctor? Include an image with your story or record a video with your message to thank your UCLA doctor. Your story may be featured for Doctor’s Day on our social media. We will also send a personal note along with your message to your favorite UCLA doctor on your behalf.